Founded in 2011, SoFi is an excellent financial solution for emerging professionals and students. To date, SoFi has issued over $14 billion in financial solutions. SoFi personal loans are consistently among the best in the industry with low rates (5.74 percent - 16.49 percent*) and high maximum loan amounts (up to $100,000). SoFi offers flexible loan terms, unemployment protection, due date changes, and the lender charges no hidden fees (including no origination fees, no prepayment fees, and no late fees). The company is currently headquartered in San Francisco, California. Read SoFi reviews below to read about customer experiences. While most lenders cap their personal loans at $35,000, SoFi goes above and beyond the industry average by offering loan amounts up to $100,000 to select customers. The option for a larger loan amount provides borrowers more flexibility in what they can do with their money. With personal loans often being used to fund debt consolidation, SoFi's high loan amounts would work especially well for debt consolidation. Potential borrowers should note that SoFi personal loans cannot be used for expenses relating to education, like as a student loan. Instead, the company offers its Sofi student loan refinancing lending option. The amount loaned (and subsequent payback rates) are determined in large part by the borrower's eligibility, including current employment, free cash flow, and more. With loan terms ranging between two and seven years, SoFi personal loans are some of the most flexible in the industry. This feature enables borrowers to realistically pay back their loans over time if desired with the potential for a relatively low monthly payment. Sofi also offers unsecured loans. An unsecured personal loan does not require the borrower to have an asset that can be sold if payments on the loan are unpaid. These loans have a faster approval process, which is convenient. "If you lose your job through no fault of your own, you may apply for Unemployment Protection. If your loan(s) is/are in good standing at the time you request Unemployment Protection SoFi will, upon approval, suspend your monthly SoFi loan payments and provide job placement assistance during your forbearance period. Interest will continue to accrue and will be added to your principal balance at the end of each forbearance period, to the extent permitted by applicable law. Benefits are offered in three-month increments, and capped at 12 months, in aggregate, over the life of the loan. To be eligible for this assistance you must provide proof that you have applied for and are eligible for unemployment compensation, and you must actively work with our Career Advisory Group to look for new employment." SoFi allows borrowers to change their monthly payment due date if the assigned due date does not work for their situation. If you have a fixed rate (variable rate loans are not eligible for payment due date changes) personal loan in good standing (no outstanding payments), you can change your due date to anytime between the 1st and the 25th of the month. It's important to note you can only change your payment due date once a year, and your loan must already be funded before doing so. You also have to pay your first initial loan payment before changing the due date. The change will take approximately five days to be processed. SoFi offers two options to borrowers for increased flexibility: fixed interest rates and variable interest rates. A fixed rate is locked in for the entire duration of the loan. Fixed-rate loans can save borrowers money and make managing the account simpler. A variable interest rate typically starts as a lower-than-average rate but increases over time. A variable rate can be beneficial to borrowers who are able to pay off their loan before the raising interest becomes higher. With SoFi, the lowest rate for fixed interest is 5.99 percent, and the highest is 16.49 percent for those who sign up for autopay payments through the company. Variable interest rates are available between 5.74 percent and 14.60 percent with autopay*. These figures rank among the lowest interest rates in the industry. These low rates can help customers save while paying off credit card debt. Borrowers with excellent credit have a higher chance of being approved for a loan and of receiving the lowest rates. SoFi works hard to protect personal loan customers against hidden fees of any kind, and the company does not charge any loan origination or prepayment penalties. Most personal loan providers require extra fees, most often an origination fee or prepayment fee of some sort, so SoFi's feeless loans are definitely a perk to consider when deciding on a lender. Not only does SoFi not charge origination or prepayment fees, but the lender also does not charge any late fees. This is extremely rare in the lending industry and can give borrowers peace of mind if they have difficulty making a payment on time. However, this doesn't mean you can neglect your payments completely. Ultimate non-payment will still result in loan default. SoFi personal loan reviews are overwhelmingly positive, awarding the loan provider a 4.5-star rating. SoFi complaints are limited, as consumer reviews highlight SoFi's simple application process, competitive rates, quick funds transfer, quality customer service, and affordable monthly payments. To read SoFi personal loan reviews for yourself, scroll down to the "User Reviews" section of this profile page. SoFi currently does not offer a same-day approval or funding guarantee, making SoFi loan processing time a bit slower than other lenders in the industry. The overall application process can take at least a week. SoFi takes into consideration a potential borrower's immigration status (US citizen or permanent resident), financial history (like credit history, credit score, and credit report), career experience, employment, and income. However, a thorough application process allows SoFi to offer competitive rates (5.74 percent - 16.49 percent*) and a high max loan amount ($100,000), so it may be worth the brief wait for most borrowers. SoFi personal loans are available in 49 states. They are not currently offered in Mississippi. The credit score needed for SoFi is 680. This is higher than some lenders in the personal loan industry and makes SoFi loan approval a bit more difficult. However, higher credit score requirements allow SoFi to provide larger personal loan amounts (up to $100,000) and better annual percentage rates (5.74 percent - 16.49 percent*). SoFi personal loans include many great features for borrowers, including a high maximum loan amount ($100,000), competitive interest rates (5.74 percent - 16.49 percent*), flexible loan terms (two to seven years), and no hidden fees (this means no origination fee, late payment fee, or prepayment fee). Sofi unsecured personal loans would be great for helping people save money while paying off credit card debt. With a high max loan amount, credit card consolidation is definitely an option with SoFi. We highly recommend that individuals in search of personal loan online lenders consider working with SoFi. SoFi complaints are limited, and consumers note a simple and satisfactory loan experience. Read SoFi personal loan reviews below to see what else customers are saying about the personal loan company. *Fixed rates from 5.990% APR to 16.490% APR (with AutoPay). Variable rates from 5.74% APR to 14.60% APR (with AutoPay). SoFi rate ranges are current as of February 15, 2019 and are subject to change without notice. Not all rates and amounts available in all states. See Personal Loan eligibility details. Not all applicants qualify for the lowest rate. If approved for a loan, to qualify for the lowest rate, you must have a responsible financial history and meet other conditions. Your actual rate will be within the range of rates listed above and will depend on a variety of factors, including evaluation of your credit worthiness, years of professional experience, income and other factors. See APR examples and terms. Interest rates on variable rate loans are capped at 14.95%. Lowest variable rate of 5.74% APR assumes current 1-month LIBOR rate of 2.51% plus 4.28% margin minus 0.25% AutoPay discount. For the SoFi variable rate loan, the 1-month LIBOR index will adjust monthly and the loan payment will be re-amortized and may change monthly. APRs for variable rate loans may increase after origination if the LIBOR index increases. The SoFi 0.25% AutoPay interest rate reduction requires you to agree to make monthly principal and interest payments by an automatic monthly deduction from a savings or checking account. The benefit will discontinue and be lost for periods in which you do not pay by automatic deduction from a savings or checking account. ***Minimum Credit Score: Not all applicants who meet SoFi’s minimum credit score requirements are approved for a personal loan. In addition to meeting SoFi’s minimum eligibility criteria, applicants must also meet other credit and underwriting requirements to qualify. I have decent credit and high debt-to-income. We have been exploring personal loan options to help our goal of debt elimination. We have great income and have never missed a payment, but with the amount of debt we have, it was difficult to get a loan provider to help us. I tried SoFi on a whim, and 3 days later I have the money I asked for in my account at a reasonable interest rate (half of their competitors). I couldn't be happier with their service so far and am blown away at their efficiency. I had a few questions which resulted in a few phone calls, and their customer service department was polite and helpful. My wife also spoke with them on the phone and commented on how kind they were. They must treat their employees well. Great overall experience! Great product, very easy to use and provides the needed information for what works best for you financial situation. SoFi is a great company with resources to help consolidate debt in many different situations. It was easy to apply the website is easy to navigate and quite user friendly. There are many options and repayment is simple. Quick, easy loan process and competitive rate. The customer service throughout the process has been fantastic! Immediately answered my calls and provided solid info. Much easier to navigate than any other loan. Having dealt with various loan companies over the years, I was at first skeptical that SoFi would give me decent rates for the terms I was looking to get approved. However, I was impressed with the SoFi process of requesting and approving a personal loan. It seemed easier than others. Although they take a bit more time to consider a person for a loan - while you wait on pins and needles - the rates and terms are better than the others I worked with for my particular situation. The initial loan approval process took a few days to complete and then get approval, so it is not an on-the-spot approval process. However the rates received are better as a result of their investigation, in my opinion. The payment web site seems to be laid out well for my tastes. Everything I need to know is fairly easy to find and get the information. Their site is not a lot of glitz and glamour, so it should be fairly quick to load even for those out in the boonies that have older Internet connections. Overall, I definitely recommend SoFi for people looking for loans based on my experiences so far - just past the first payment. SOFI was great. I had cash in my account in less than 3 weeks. VERY easy process start to finish. I started the process late on a Saturday night and the money was in my account on Wednesday. This was my first online lending experience and I couldn't believe how easy and unintimidating it was. I spoke with service at two points in the process and each agent was exceptional. After the loan was funded, I received a welcome email with additional perks and information, even career counseling and financial advice. This is unlike any other banking experience I've had. This company does a great job of advertising. I think I get mail from them every week but I don't open it or even read what this company does. I learned about SoFi through a simple mailer and after reading many reviews we decided they were a good fit. The entire loan process from start to finish took roughly a week, but was incredibly simple and painless. Customer service was also very polite and professional when I called with some questions. There are far worse experiences and rates to be had out there. I am quite happy with SoFi. I didn’t have a good experience getting a loan from here. The rates werent good and they weren’t all that helpful either in finding me the best fit. I wouldn’t recommend getting a loan here. Refinanced super easy, saved a lot of money. Got a referral bonus when I got a friend to refinance through them. They also sent some really soft shirts. Didn't have any tricky issues (e.g., I was able to make payments and didn't have any payments not post) so I can't speak to that. We acquired a personal loan about 3 years ago through SoFi. The process was very easy and quick. It was all done on line and the entire process only took a couple of days. Repayment was straight forward and we completed the pay off a couple of months ago. We never actually spoke to anyone during the entire time. I would highly recommend SoFi. After 5 years of dealing with health issues we had accumulated a lot of credit card debt that was crushing us financially. SoFi Helped my wife and I save over $300 per month on our credit cards and cut our interest rate in half! We now feel like there is light at the end of the tunnel and we will be able to be debt free so much faster now. From start to finish the process wit SoFi was so fast and easy! The overall application and approval process is customer friendly and quick. It’s really easy. Thanks SoFi!!! I was very happy with the whole online loan process. It was very quick and easy. Also, the customer service was wonderful as well. They were very knowledgeable and willing to help answer all of the questions that I had. The process of applying for a loan through SoFi was easy and painless. When i called customer services with questions, that i had about getting a loan, my questions were answered without being transferred to several different people. I would definitely recommend SoFi. I - literally - applied for a $40k personal loan on Sunday evening (on my iPad), and the money was in my bank account on Tuesday morning. This was an AMAZING experience for me, and it could NOT have been easier!! This is our second loan from Sofi. The process is quick, easy and streamlined. The people at Sofi are efficient and know what they are doing. These loans are allowing us to get out of debt quicker than expected due to the low interest rates and payment options provided by Sofi. Best of all, there is no origination or up front fee! And you even get a .25% off the rate if you sign up for autopay. We have no complaints at all. This company is wonderful. I was extremely impressed with the ease and the speed of the application process. I filled out the short application and got a call with some follow up questions from a team member. The terms were easy to understand and the funds were wired within the specified time-frame. I am extremely pleased that what was advertised was delivered without any hassles or hidden terms. I am happy to be a part of the SoFi family. I would recommend them to anyone that is looking for a loan. !!!!! I was extremely impressed with the ease and the speed of the application process. I posted a quick questions on-line and received a phone-call that same day from a knowledgeable and friendly team member. The terms were easy to understand and the funds were wired within the specified time-frame. Being able to select an auto-payment for a reduced rate was also great. (I would think most people would want auto-pay anyway, so to be rewarded for it was fabulous). 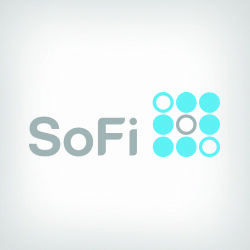 Overall, I am extremely pleased and happy to now be a part of the SoFi family. I would recommend them!! The application process is very simple and straightforward. The rates are very reasonable and they offer terms that fit your individual needs. The process is fast and they keep you updated every step of the way. The website is user friendly and has all the information you need in one place. I recommend SoFi to anyone searching for a good loan experience. They have been great with my personal load, funding the amount needed, with a great rate and even helping when I ended up being late on payments. They have bent over backwards to help whenever I need it - AWESOME! The personal loan I received had a competitive rate, no fees at all associated with the loan and has no prepayment penalty. Professional and courteous people on the other end of the line whenever I called. That's how it should be done ! SOFI processed my Personal loan very quickly. Also the Rate Of Interest is nominal. It's one of the very few companies that approve loan for H1B Visa holders. I would defenitely recommend SOFI to my friends and family. Like everyone else has said, terrific customer service and great website ! Everything was done electronically. The zero cost refinancing, $300 welcome bonus and 0.25% interest rate reduction for autopay make this a no brainer in my books. The application process was thorough but easy at the same time. My experience was excellent. I was undecided about other companies and hidden fees such as prepayment penalties and origination fees. I spent months researching debt consolidation companies and I even applied to other companies but was not approved for the amount I needed. SoFi was the only company that approved and funded my loan. I received payment within 2 days after I signed my contract. The communication is excellent. I received emails and text messages throughout the process as a reminder of where I was in the application process and what I needed to do. You can’t ask for a more transparent process. I highly recommend SoFi. Fyi - this is NOT a paid endorsement. I am hoping this will help others in a similar situation. I applied for a personal loan with SoFi and was approved the same day- within hours! My loan was funded the very next day- less than 24 hours after submitting my application. No other rates out there could compete with the 5.49% rate I was offered. I should mention that my credit score is 800+, so if you have excellent credit like I do, you should have no problem getting the money you need, when you need it. A+ service. I found out about SoFi from a professional group on Social media. The application process to refinance my student loans was very easy and it saved me 2% points which will add up to a nice savings over the life of the loan. SoFi has outstanding rates, makes the application process extremely easy, and has great customer service should you have any questions. They also have an excellent company culture that seems more devoted to helping people than to simply trying to make money. It feels good to do business with SoFi. Extremely fast process considering the amount of my loan. Good APR and length of time on loan. Zero loan fees. Process was all done online. Definetly reccomend. Sofi was very fast in approving my loan. They would text me if they needed information which also helped speed up the process. They had the lowest rate I could find, so it will save me money! The whole process was fast and painless! Competitive rates and exceptional service. Well-trained staff members available to answer questions and guide you through the process. They are always available and the rates are the best I've found. Trying their new wealth product to. SoFi is an excellent company to work with! I used them to consolidate credit card debt and they have been incredibly easy to work with. I highly recommend them! I was highly skeptical at first of SoFi's claims, but after doing some research on Credit Karma and other sites I decided to give them a try. After spending 4 days researching SoFi I finally felt confident enough to upload the 2 documents they requested. 5 business days later my personal loan was funded and in my checking account and now I am credit card debt free and paying 40% of the rate I was to my credit card issuers. It doesn't get any easier or better than Sofi. I wished they offered Mortgages in my state, I would move everything to SoFi if given the choice. I am very happy with Sofi, they were very helpful and made the process easy and quick for me. I would definitely reccomend this company, one of the best experiences ever. SoFi has great customer service! They are very communicative throughout the process and approval and funding was very quick. Highly recommend! Great people and simple to use. The application process was very straightforward and easy to follow. I had a couple hiccups along the way and they were very quick to respond to questions and sort everything out in a timely manner. The interest rates are wonderful and everything about my experience has been top notch. Very easy process. The no hidden fees sold me out at first but, then the customer service closed the deal. The TV add drew me into considering them. Actually, I wasn't thinking about getting a loan to realign my finances until I saw the TV ad. I would recommend to anybody! I was really impressed with the rates I was offered on my 25k personal loan. For a second I couldn't believe that there were no hidden fees no origination fees or anything like that. The rate you get is the actual APR because there are no other fees. Great customer service. Money was wire transferred to my bank account the next morning after getting funded. I refinanced my school loan with SoFi. They had the best loan terms out there that I could find. I received a steady flow of communication keeping me updated on how the processing was going. The customer service was excellent. They are even giving me a free tee-shirt! Above and beyond the call of duty and I am very pleased with SoFi! Refinance your loans through Sofi; especially if you have loans through Wells Fargo or a similar private bank. Sofi made the process of refinance incredibly transparent, and their support was approachable and friendly. The interest rate they quote you on (at least in my case), was the interest rate I ended up with! I recommend using this service to refinance your student loans. SoFi funded a $23 thousand dollar loan for me within a week of applying. I immediately paid my credit cards in full and will be saving thousands of dollars in interest and will be out of debt in 5 years (term of my loan) or less. I liked that I could begin the process with a soft pull on my credit before committing to a hard pull. I also enjoyed applying from home and being able to follow the process after my working hours. There were no origination fees and they offered a rate decrease for paying back via automatic payments. I am no longer a prisoner to my credit cards and have seen a nice increase in my credit score.